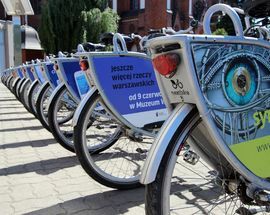 Warsaw has cemented its big-city credentials by having a city-wide bike rental fleet, and the numbers are impressive. 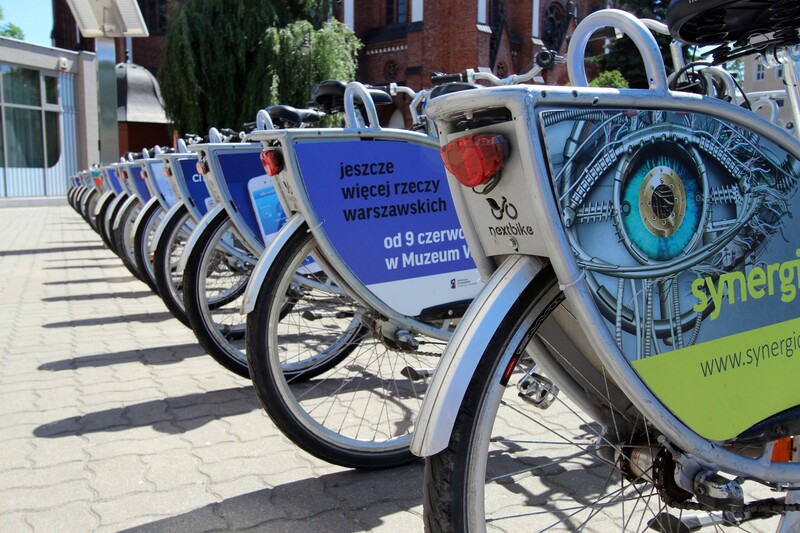 With 368 stations spread throughout all of Warsaw's districts offering 5,319 bikes there’s no question you’ll be spotting the silvery fleet flying through the city’s streets. And why not try one yourself? 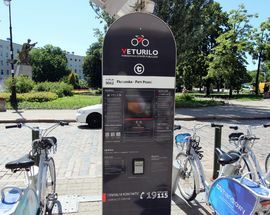 The Veturilo (meaning 'vehicle' in Esperanto) system is ridiculously easy: set up an account online (en.veturilo.waw.pl is the English-language site) and pay the initial 10zł fee. Once you’re registered you can visit any of the stations and select your ride, which has its own individual code. 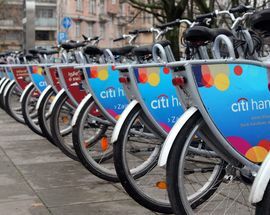 Simply scan the QR code, or if using a phone, dial and enter your phone number, your PIN and the bike’s code, and you’ll receive the number to unlock the bicycle from the stand. Then you’re off! 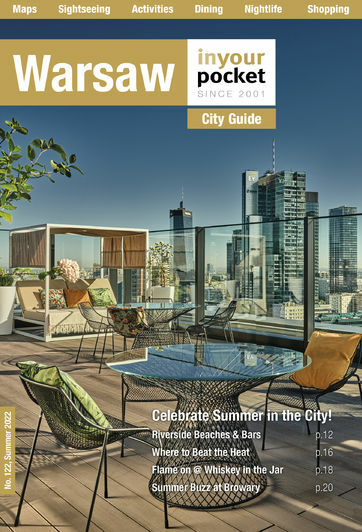 The first 20 minutes are free, and from there you pay 1zł for 21-60 minutes, 3zł for the second hour, 5zł for the third, and 7zł for each hour after that up to 12 hours. There’s a 200zł fee for exceeding 12 hours, and a whopping 2,000zł cost for replacing a lost or damaged bike, so behave yourself. When you return the bike, which can be done at any of the stations, you check the app confirming the return, and you’re finished. Service available Mar-Nov. 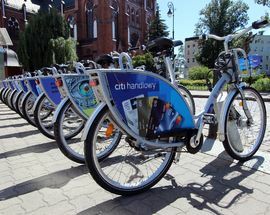 So the bikes are only for people with a polish cellphone, and a polish bank card linked to an address in Poland. The card also requires using your phone too. 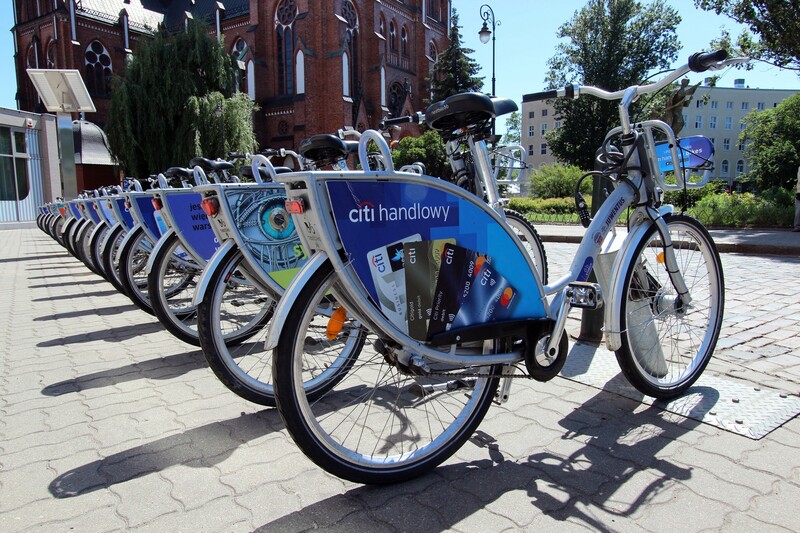 From the ZTM website: "It will also be possible to rent a bike with the use of Warszawska Karta Miejska (Warsaw City Card) or student electronic card (ELS). It will be necessary to register either card – during the first or a subsequent rental by drawing the card near the reader after entering the mobile phone number or a PIN." How do I get a veturilo card? Isn&#039;t that easier instead of calling? 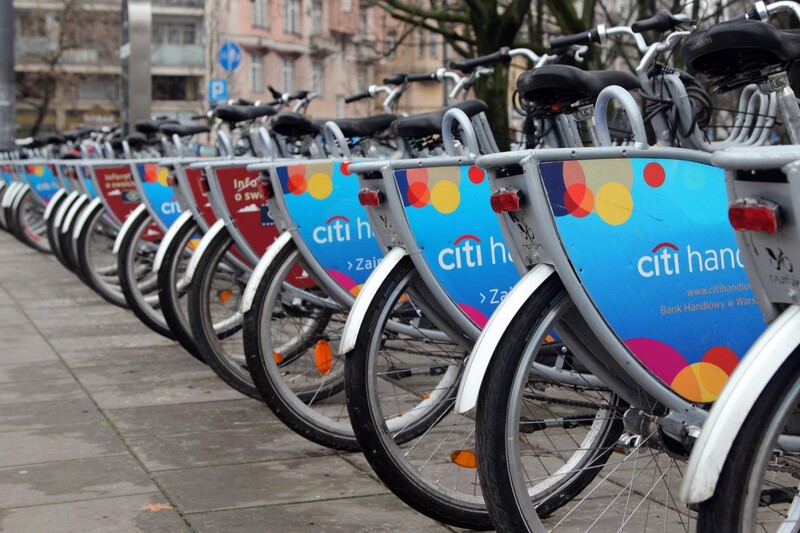 Once you&#039;ve registered online and linked a bank or credit card to your account, you&#039;ll get a pin that you can enter at any of the bike stations. 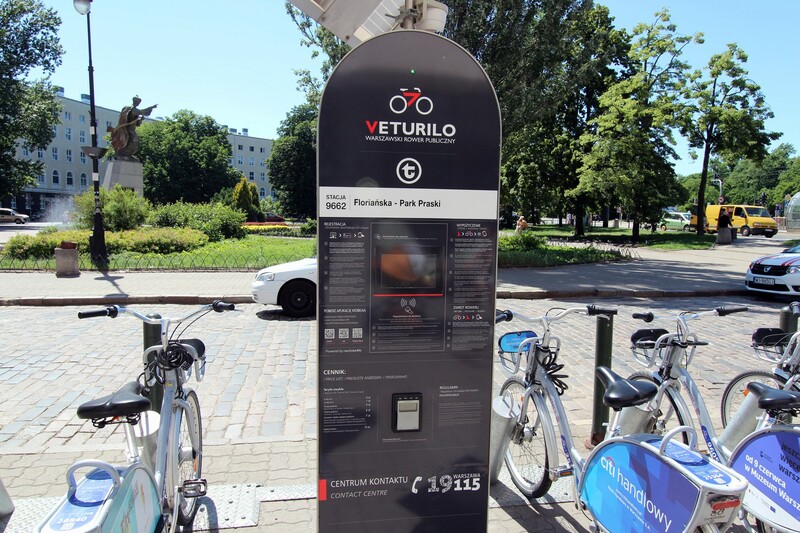 That way Veturilo deducts the money for the amount of time you use the bike directly from your account.